You finally found the tool to wash and clean the gutters from the ground. The gutter cleaner - bend it, twist it or turn it. The spray flex model wand retains the shape you want, even at 5000 PSI. It is great for spraying around corners and under low ledges. 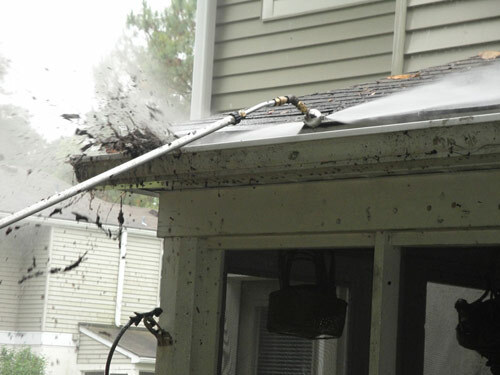 Don't' miss this opportunity to finally easily and evenly clean your roof and gutters. Read Gutter Washing and Cleaning Gutters with Telescoping Wands articles. 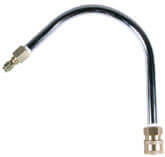 Attaches easily to virtually any pressure washer wand. 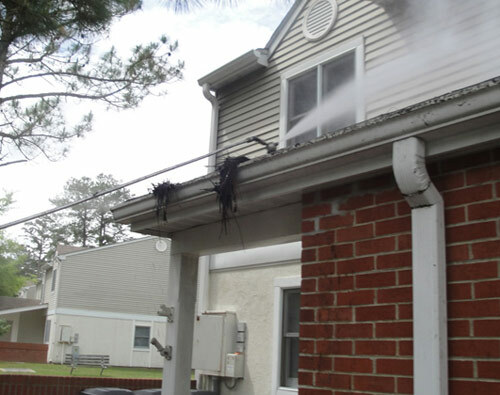 Turns wands into efficient gutter cleaners so that gutters can be cleaned from the ground. 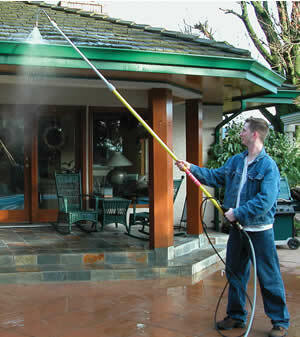 Excellent for cleaning eaves without getting wet. Safely clean pitched roofs. Great for cleaning car engines from all sides, not only from the top. Use your pressure washer more efficiently with more control and greater comfort for the operator. Use with machines up to 4000 PSI, 8 GPM. Equipped with 1/4" Quick Connect Socket and 1/4 Plug Connector to use with any of our telescoping poles. Easily attaches to telescoping wands. Use in conjunction with spray nozzles. 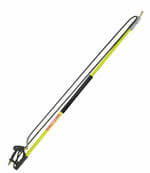 Flexible wand will bend in any direction on a 90&ordm; angle for easy cleaning where standard wand will not reach. 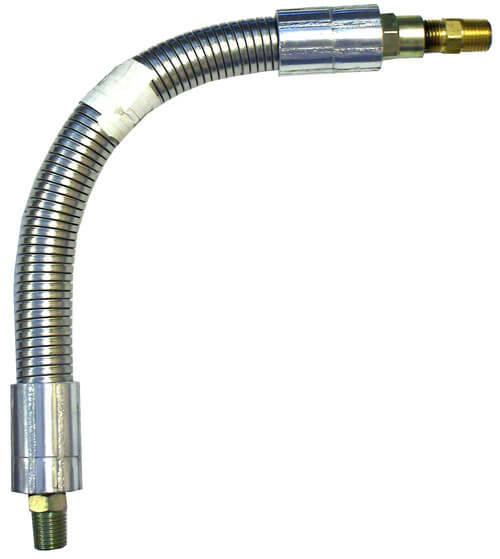 This 12 " attachment will keep the shape you form it in and will handle pressures of up to 5000 PSI. Connect it at the tip of your existing wand or any telescoping wand. Unlimited applications for those hard to reach areas especially great for gutter cleaning and washing various type of equipment. Flexible spring wand extensions with heavy-duty spring. Designed to allow for easily cleaning under wheel wells, bumpers, etc. Ideal for truck wash applications where durability and strength is a must. Bend around those hard to reach places. Part does not stay in place but instead needs to be manually manipulated. It is straight when in normal position. The Gutterball uses a bilateral cleaning system to eliminate the extreme down pressures that you would normally get from a gutter cleaner. Simply rock the Gutterball slightly back and forth while in your gutters for most effective cleaning. The bilateral system will also reduce the amount of water that is backsplashed onto you while standing on the ground.